Nebulochaotic – chaotic, confused, hazy. Simon Bridges on Breakfast in response to a comment on Labour’s website woes which were exposed by Whaleoil. 5. Fred Dagg gets his right­ful posi­tion at the top of the Labour Party List. In perpetuity. While Fred would add a much needed rural voice to the Labour list I suspect someone of his entrepreneurial and independent spirit would be out of place there. 1. Who said: “Look deep into nature, and then you will understand everything better. “? 2. Who composed The Four Seasons? 3. It’s espoir in French, speranza in Italian, esperanza in Spanish and manawa ora in Maori, what is it in English? 4. What was a tamarillo’s former name? 5. Where (more or less) does the 45th parallel cross State Highway 1? The trade weighted price of milk dropped 2.6% in Fonterra’s GlobalDairyTrade auction this morning. The price of anhydrous milk fat was down 5.9%; milk protein concentrate dropped .3%; rennet casein dropped 2.4%; skim milk powder was down 7.1%; and whole milk powder was 2.6% lower. Phil Goff was very circumspect on Checkpoint last night when asked to comment on calls for a speedier resolution of which areas of Christchurch can’t be rebuilt. The party, doesn’t appear to be united on that approach, or at least one MP isn’t following her leader’s example. Lianne Dalziel got a lot of media exposure yesterday criticising the government about the time it is taking to resolve which areas will be abandoned. Did someone forget to tell her about the bi-partisan approach or isn’t she listening?
. . . the latest earthquakes had given the matter “extra urgency” but drip-feeding information or partial decisions would not help. Thousands of people are living in limbo while dealing with continuing quakes and aftershocks and insecure housing and infrastructure. But giving them only part of the information they need to make decisions, or information which later turned out to be wrong would only make matters worse. The Checkpoint interview showed both Goff and Green co-leader Metiria Turei appreciate this and the difference between advocacy and politicking. I’m not sure Dalziel does. People helping with Hekia Parata’s campaign and scrutineering in the Mana by-election last year came across a good number* of people who wanted to vote for her but couldn’t. They had opted to be on the Maori roll last time they had the choice and those who do so can’t swap to the general roll between elections. The matter of supporters not being able to vote might also trouble candidates in the Te Tai Tokerau by-election because either they’re on the general roll or not enrolled at all. I have just spoken to the pollster of the Maori TV Poll. He says Harawira may face a further and much more serious problem. Many of those identifying themselves as Harawira supporters are not enrolled on the Maori roll. This will mean that many can’t vote next weekend. If people are on the general roll they can’t swap to the Maori roll but if they’re not enrolled at all they can enrol until next Friday and cast a special vote. However, I think both Labour and the Maori Party would be better placed to mobilise people who aren’t enrolled to do so then vote than Harawira and his supporters. And the stocks are climbing all the time. Due in large part to some people finally realising that Hone’s support does not run that deep and most Maori in the Far North are sensible enough to see that he is not the man to take them to the promised land. * good number = vague amount based on anecdotes. 1487 Battle of Stoke Field, the final engagement of the Wars of the Roses. 1586 Mary, Queen of Scots, recognised Philip II of Spain as her heir. 1738 – Mary Katharine Goddard, American printer and publisher, was born (d. 1816). 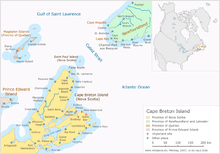 1745 British troops took Cape Breton Island,. 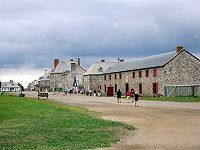 1745 – Sir William Pepperell captured the French Fortress Louisbourg, during the War of the Austrian Succession. 1746 War of Austrian Succession: Austria and Sardinia defeated a Franco-Spanish army at the Battle of Piacenza. 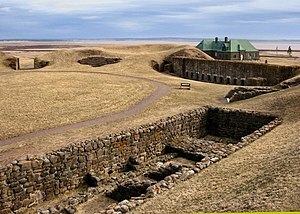 1755 French and Indian War: the French surrendered Fort Beauséjour to the British, leading to the expulsion of the Acadians. 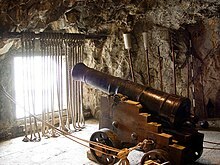 1779 Spain declared war on Great Britain, and the siege of Gibraltar began. 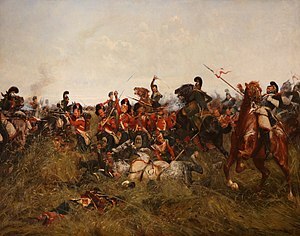 1815 Battle of Ligny and Battle of Quatre Bras, two days before the Battle of Waterloo. 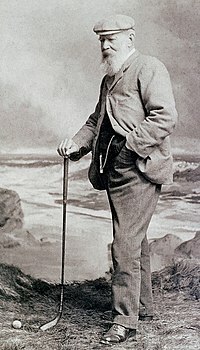 1821 Old Tom Morris, Scottish golfer, was born (d. 1908). 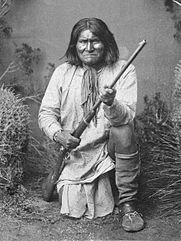 1829 Geronimo, Apache leader, was born (d. 1909). 1836 The formation of the London Working Men’s Association gave rise to the Chartist Movement. 1846 The Papal conclave of 1846 concluded. Pius IX was elected pope, beginning the longest reign in the history of the papacy (not counting St. Peter). 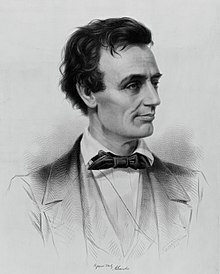 1858 Abraham Lincoln delivered his House Divided speech in Springfield, Illinois. 1858 Battle of Morar during the Indian Mutiny. 1871 The University Tests Act allowed students to enter the Universities of Oxford, Cambridge and Durham without religious tests, except for courses in theology. 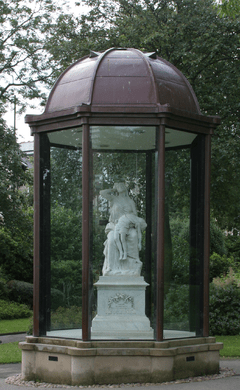 1883 The Victoria Hall theatre panic in Sunderland killed 183 children. 1890 Stan Laurel, British actor and comedian, was born (d. 1965). 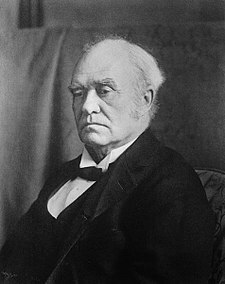 1891 John Abbott became Canada’s third prime minister. 1897 A treaty annexing the Republic of Hawaii to the United States was signed. 1903 The Ford Motor Company was incorporated. 1903– Roald Amundsen commenced the first east-west navigation of the Northwest Passage. 1904 Eugen Schauman assassinated Nikolai Bobrikov, Governor-General of Finland. 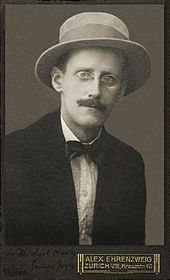 1904 Irish author James Joyce began a relationship with Nora Barnacle, and subsequently used the date to set the actions for his novel Ulysses; traditionally “Bloomsday“. 1911 A 772 gram stony meteorite struck the earth near Kilbourn, Columbia County, Wisconsin damaging a barn. 1912 Enoch Powell, British politician, was born (d. 1998). 1915 The foundation of the British Women’s Institute. 1922 General election in Irish Free State: large majority to pro-Treaty Sinn Féin. 1923 Baby farmer Daniel Cooper was hanged..
1924 The Whampoa Military Academy was founded. 1925 The most famous Young Pioneer camp of the USSR, Artek, was established. 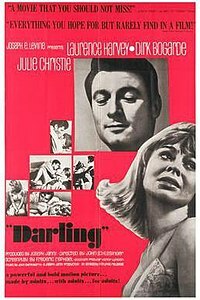 1929 Pauline Yates, English actress, was born. 1930 Sovnarkom established decree time in the USSR. 1934 Dame Eileen Atkins, English actress, was born. 1937 Erich Segal, American author, was born (d. 2010). 1938 Joyce Carol Oates, American novelist, was born. 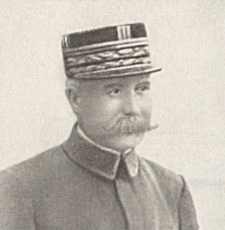 1940 World War II: Marshal Henri Philippe Pétain becomes Premier of Vichy France. 1939 Billy Crash Craddock, American country singer, was born. 1940 – A Communist government was installed in Lithuania. 1948 The storming of the cockpit of the Miss Macao passenger seaplane, operated by a subsidiary of the Cathay Pacific Airways, marked the first aircraft hijacking of a commercial plane. 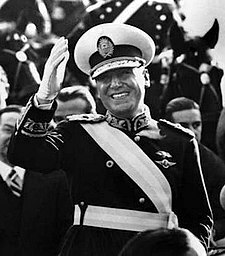 1955 Pope Pius XII excommunicated Juan Perón. 1958 Imre Nagy, Pál Maléter and other leaders of the 1956 Hungarian Uprising were executed. 1961 Rudolf Nureyev defected at Le Bourget airport in Paris. 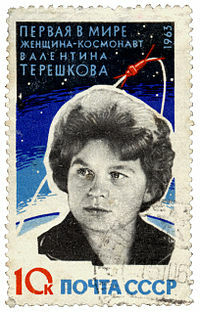 1963 Vostok 6 Mission – Cosmonaut Valentina Tereshkova became the first woman in space. 1967 The three-day Monterey International Pop Music Festival began. 1972 Red Army Faction member Ulrike Meinhof was captured by police in Langenhagen. 1972 The largest single-site hydro-electric power project in Canada started at Churchill Falls, Labrador. 1976 Soweto uprising: a non-violent march by 15,000 students in Soweto turned into days of rioting when police open fire on the crowd and kill 566 children. 1977 Oracle Corporation was incorporated as Software Development Laboratories (SDL) by Larry Ellison, Bob Miner and Ed Oates. 1989 Imre Nagy, the former Hungarian Prime Minister, was reburied in Budapest. 1997 The Dairat Labguer massacre in Algeria; 50 people killed. 2000 Israel complied with UN Security Council Resolutiwen 425 and withdrew from all of Lebanon, except the disputed Sheba Farms. You are currently browsing the Homepaddock blog archives for the day Thursday, June 16th, 2011.